People have long believed that green tea is good for their health. There is plenty of evidence to support this. Studies in Japan have shown, for example, that higher green tea consumption is associated with a lower risk of cardiovascular disease. But what of the claims that are made about the health benefits of matcha, a powdered form of green tea? In this post, we aim to examine the evidence and explain where the notion of matcha as a 'superfood' comes from. Matcha does not contain anything that other green teas do not. 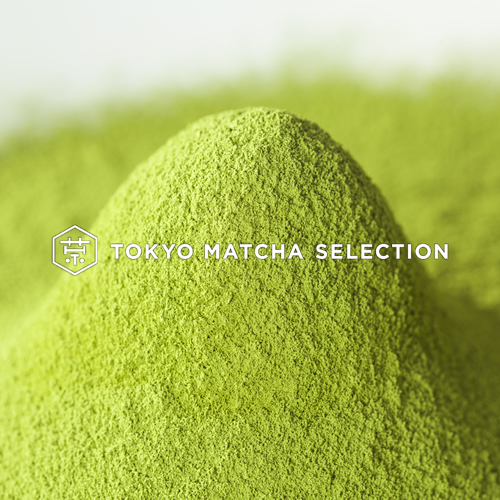 However, thanks to the unique way matcha is produced and consumed, it delivers us a higher concentration of beneficial substances compared to other green teas - and indeed compared to many other foods. This fact lies behind many of the 'superfood' claims surrounding matcha. Let's take the example of the green pigment chlorophyll, which is a known antioxidant. When tea leaves are steamed rather than fermented, the chlorophyll in them is preserved. However, infusing the steamed green tea in liquid only extracts a certain amount of the chlorophyll from it. The leaves used for matcha start with a higher concentration of chlorophyll than usual, since they are deliberately grown under shade. Moreover, when we drink matcha, we are consuming not just a liquid but also the powdered leaves themselves. Ultimately, this means that more chlorophyll makes its way into our digestive system. The same applies to many of the compounds mentioned below. There are many studies linking matcha, green tea and the compounds they contain to reduced risks of certain serious and chronic illnesses. It is very difficult, however, to isolate the effects of one foodstuff on any specific disease, much less on our overall health. There are so many chemical interactions at play in our diets that we should be wary of claims that a specific food 'prevents cancer', for example. To return to our earlier example, studies have shown that chlorophyll can bind with a number of cancer-causing chemicals found in our diet, potentially preventing us from absorbing them. Scientists hypothesize that this mechanism may contribute to cancer prevention in humans, although this is far from proven. While there is abundant evidence that greens are good for us, it is unclear how much of this benefit can be attributed to the action of chlorophyll. Besides chlorophyll, matcha contains a particularly high concentration of catechins, a group of polyphenols found in tea. There is mounting evidence that these compounds could play a role in the prevention of many serious and chronic diseases, thanks to their anti-inflammatory, antioxidant and anticarcinogenic behaviour. In particular, matcha is a rich source of epigallocatechin gallate or EPCg, which has been singled out for further study as a potential promoter of human health. Following promising research into the effects of cachetins, scientists in Japan ran a study in which matcha was fed to diabetic rats. The results suggested that the effect of matcha on glucose, triglyceride and cholesterol levels could help protect against liver and kidney damage. Clearly, we should not take such studies to mean that matcha is a magical cure-all. We may, however, take assurance that matcha can be a healthy addition to our diet. There is limited evidence for the effect of matcha on weight loss. A small study in the UK has recently shown that drinking matcha can help us to burn more fat during exercise. It must be pointed out that only 13 women (and no men) were involved in this study. However, studies on mice have also found that matcha promotes the metabolism of fats and reduces blood sugar levels. The association between matcha and improved concentration has been around for a long time. In Japan, there is a long tradition of using matcha in a ceremonial context. The tea ceremony has its roots in Zen Buddhist practice, and is designed to help practitioners focus on the present moment. The tea itself certainly helps in this regard. Matcha in fact contains large concentrations of the amino acid L-theanine, which has been shown to reduce blood pressure and improve concentration. It also seems to counteract the negative effects of caffeine, which is present in all tea, while contributing to its effect as a mental stimulant. L-theanine on its own has been shown to reduce anxiety. There is a lot of evidence to suggest that drinking matcha is potentially associated with good health. In general, it is sensible to be wary of the label 'superfood', since this suggests that a sprinkling here and there will make us immune from disease. This is clearly not true of any food. However, as a super-potent preparation of green tea, matcha outstrips many foods in its antioxidant and mineral content. Many of the compounds contained in matcha have proven beneficial effects, so it is plausible that a moderate intake of matcha might be a factor in overall positive health. Ultimately, though, matcha is not a medicine. First and foremost, it is a delicious, intriguing and invigorating drink. Moreover, it is a product with a long and interesting history to discover. We hope you will therefore enjoy matcha as part of a healthy lifestyle while also appreciating its special place in Japanese culture.